Madigan made… Newcomb Home a feature! Hey Hey… it’s Friiii-daaay! And a 3 day weekend? Bonus! Guess that also means that it’s time for me to share a guest project?! Katie from Newcomb Home wanted to share a really useful piece of art for the kitchen. I don’t know about you, but I’m not very good at calculating math in my head. 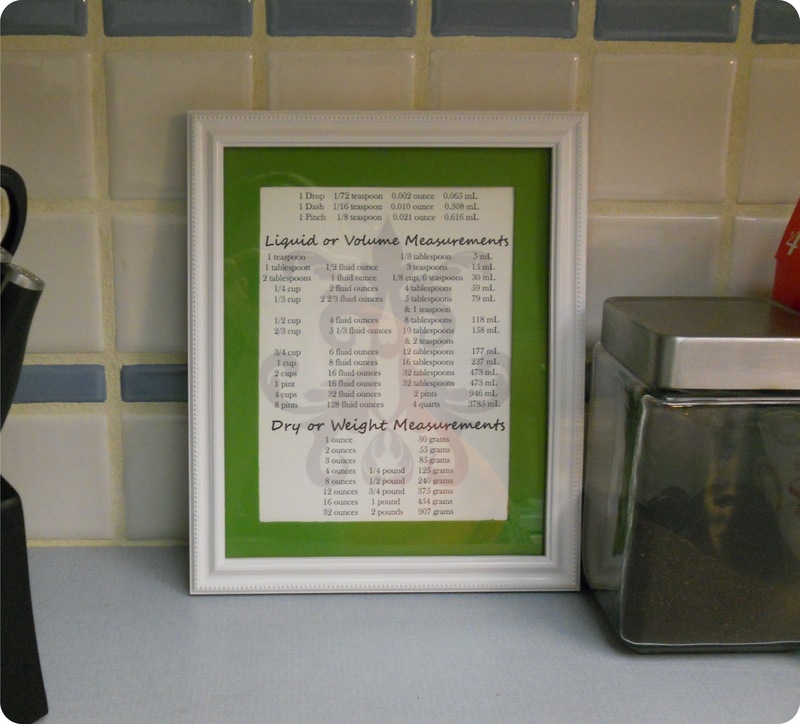 I need one of these measurement conversion sheets that Katie created and framed! The green mat is fun. I love the idea of creating something useful and pretty for a space in your home! I really want to feature YOU! P.S. Don’t forget: Please consider becoming Google Follower or Facebook fan of Madigan Made! So join in and share you, your blog or your handmade shop with my readers!